Horwich Heritage Centre is a local history centre in Horwich, a town of 20,000 people near Bolton in Lancashire, on the edge of the West Pennine Moors. The town expanded rapidly in the 18th and 19th century as bleach works, cotton mills and a large railway locomotive works came to the town. The museum first opened in 1995 and is now housed in what was a rifle range, part of an early 20th Century territorial army barracks. The displays cover a range of industrial and social history of the town and the surrounding area. 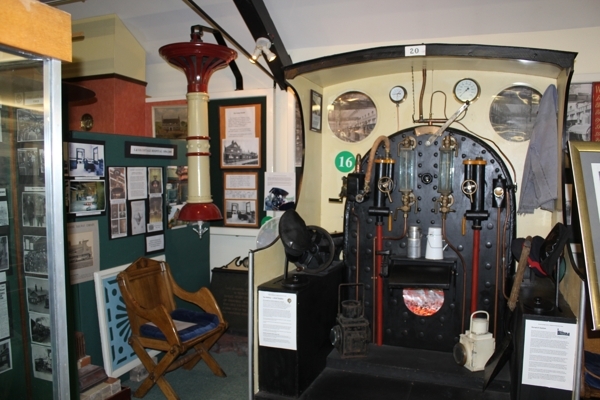 Exhibits include an iron toll gate post, a replica of an engine cab, a scale model of the locomotive works, a huge gas lamp from a cottage hospital and a large collection of models, household items, photographs and ephemera organised thematically on various local history including a Victorian kitchen, domestic life 1900 to 1950s, mining, and transport and wartime history. The museum has regularly updated temporary exhibition space, a research area for local study and a small shop. 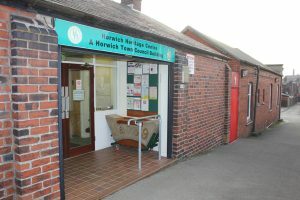 The Centre is run by Horwich Heritage, a voluntary organisation established in 1985 following the closure of the locomotive works two years before (the works once employed thousands of people). The aim was to set up a history society that would, in part, help to boost the morale of the town and it soon attracted more than 150 members. A small room was offered by the local council to have exhibitions in a community centre that was used for displays for ten years from 1995 to 2005. The Council then offered them tenancy of the current building and it took three months to set up the displays. A range of activities and new exhibitions bring in around 3,000 people a year (the centre is open two hours a day). Horwich Heritage has also been working to save some of the historic buildings in the works, and are developing a heritage trail around the site, and working with the developers on street naming. It has also been actively restoring and protecting local features and details of this work can be found in the news section of their website. Text and pictures by Toby Butler.